Datacard® Adaptive Issuance™ Suite is a complete family of products for secure document issuance. 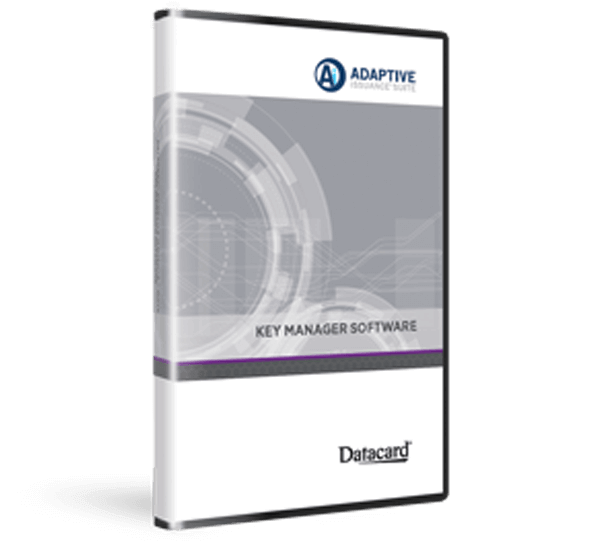 Datacard® Adaptive Issuance™ Key Manager Software delivers everything you need to securely manage keys in every step of the issuance process, including data security, data preparation, and document issuance. Overall security is enhanced with two separate levels of user access control to the Key Manager software and hardware security module (HSM). Built-in support for leading HSMs makes integration faster, and a streamlined management interface simplifies cryptographic operations throughout the production process. The platform offers load balancing and failover protection by broadcasting commands to multiple HSMs. Choose the HSM performance level you need now, and then quickly and easily add HSMs to scale as your business needs change. *Limited to the HSM key storage size.